I posted this cute little mitten card on the CropStop Blog. 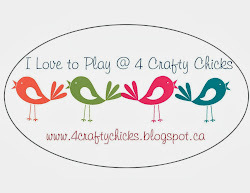 there's still time to link up and win a box of goodies from CropStop! What a cute card, and so clever. I love the collage-y feel, well done. Great take on the challenge, thanks so much for playing along with us this week over at the Mod Squad!!! Absolutely adorable, Esther. The mitten is so sweet. 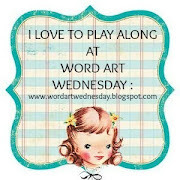 Thanks for sharing with us at Word Art Wednesday. Oh my, what a darling little mitten! You create such lovely and unique cards, my friend. This is so cute and I just love how you composed your focal! 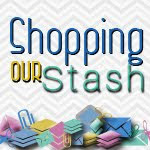 Thanks so much for accepting the challenge at Shopping our Stash! So cute! (And east coast or west, very appropriate!) Great idea for scraps and bits. You have an eye for assembly! Cheers, and thanks for stopping by again at SOS! Your mitten is just so sweet, I love all the patterns of paper you used on it and the sweet embellishing!! Awww! I super love this sweet little mitten! So clever to have clipped that sentiment ticket on with a mini clothespin, too. 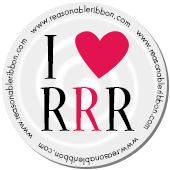 Thanks for sharing with us at the Really Reasonable Ribbon Anything Goes Challenge. Happy New Year!